Lynn Yew Evers does it all "Without Words" on our latest featured stream. In a world of upheaval and political statements that permeates our media there are artists that speak on a different wave length with just their music. The music is strong, peaceful and moving, thus words are never necessary. Lynn is one of those artist that lets her music do the talking. The title track leads the way with beautiful textures and melody as Lynn uses the ivory keys to deliver her own slice of heaven to our ears. There is a touch of sadness in the track but there inside lies the beauty and purity of it all. 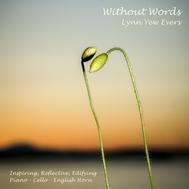 This is one example of what you can enjoy with the music of Lynn Yew Evers so enjoy the stream! Grammy® winner Will Ackerman, who produced Lynn's latest album "Dawn of Peace" says: "Lynn Yew Evers has the heart of a romantic and the hands of an artist. The combination is very powerful. Her music is like a walk through the most beautiful garden you've ever imagined; her compositions imbued with profound emotion and grace. 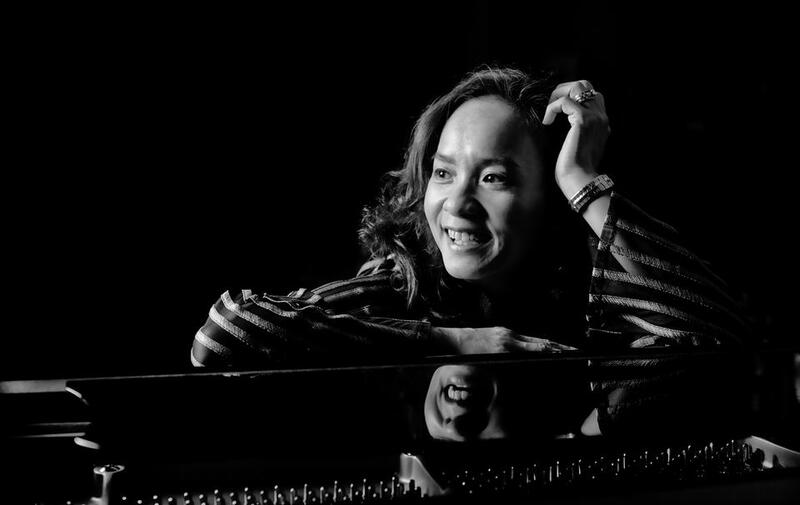 A pianist who has played for the king and queen of her native Malaysia, “Dawn of Peace” is the larger world's introduction to a brilliant new talent." Lynn Yew Evers is a multitalented concert pianist, whose passion and determination lead her to relocate from Malaysia to the United States in 2009 to further pursue her well-accomplished career as a professional musician. Lynn was born and raised in a vast historical city in Malaysia called Ipoh. As one of the largest cities in Malaysia, Ipoh is known for it’s year round tropical climate and magnificent limestone caves and temples that surround the metropolis. While growing up amidst the beauty of a tropical oasis, Lynn developed a deep connection to nature, which also nurtured her inspiration and intention behind her music. “The Music of Nature is what one hears or feels when one is fully immersed in their natural surroundings and awed by the experience. It is much more than sound – singing birds and croaking frogs, but also rustling leaves, flowing water, and breathing winds. The intention behind my music is to gently guide the listener into the tranquility of nature, to experience their surroundings as I do - full of melody and harmony” she expresses. Lynn's U.S. debut solo piano album “Falling Leaves,” is a beautiful reflection of her classical roots with melodious improvisation to tell the story of her first experiences in America… her first autumn, her first snowy winter, and her first year away from home. Lynn’s musical talent playfully surfaced on a toy piano at the age of 4. Gifted with a perfect ear and intuitive understanding of music, she began performing at age 6 and composing and improvising by age 9. Lynn had undeniably found her calling early in life, and began her musical career as early as 15 years old as a piano coach for children. Inspired by classical greats such as Beethoven, Chopin and Rachmaninoff, she went on to obtain a degree from the Trinity College of Music in London. She returned to Malaysia determined to further explore and develop her life long passion for music and immediately began to shine as a performer, arranger and composer in her native land. From 1985-2009, Lynn organized and performed in a multitude of concerts in Malaysia and the U.S. as a solo pianist and accompanist for renowned choirs and ensembles. She arranged, composed and produced the music for a multitude of venues featuring brass bands, ensembles, and chamber orchestras. Lynn also appeared as an international judge for piano competitions on HDTV and played the keyboard in a rock band. Her countless high-level appearances, lead to a well-deserved invitation to the palace to play for the king and queen of Malaysia, as well as the Prime Minister and other Malaysian dignitaries. “My music is a personal invitation to experience life through imaginative and inspiring stories told by melodies in harmony with nature, “ says Lynn. Amongst Lynn’s many accomplishments, her collaboration with Grammy winner Will Ackerman at his legendary Imaginary Roads Studio in Vermont stands at the top of her list. Her second solo piano album "Dawn of Peace," is a captivating production which truly captures the excellent ability of Ackerman and his team to effortlessly synthesize with the vision of the artist. “Dawn of Peace” brings to light the fluidity of Lynn’s music while expressing her intuitive sense of translating the peaceful melodies expressed in nature.